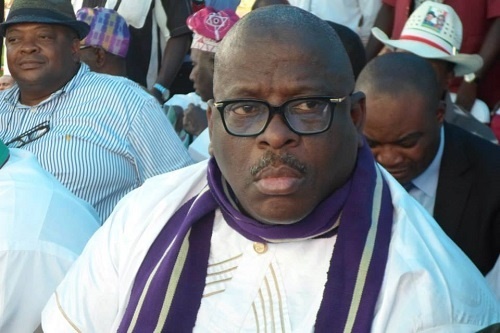 A High Court in Abuja, on Wednesday, said that the expulsion of Senator Buruji Kashamu who is representing Ogun East from the Peoples Democratic Party, PDP was illegal. In a ruling delivered by Justice Valentine Ashi, the court also said that the expulsion of Ogun State Chairman of the party, Adebayo Dayo was wrong. Justice Ashi said the expulsion was done in disobedience of a subsisting order the court made on December 7, 2017, and further restated on January 9, 2018. The said order had directed parties in a suit pending before it, which included the PDP, not to do anything to jeopardize the subject matter of litigation. While re-affirming the order, the court specifically warned the PDP not to carry out any disciplinary action against the Defendants without recourse to the pending proceeding before it. The judge also ordered the National Chairman of the PDP, Uche Secondus, to within 48 hours of his receipt of the court order, show cause why the court’s disciplinary measure should not be deployed against him for aiding his party to violate a valid court order.